A powerful new biography of Bobby Sands, penned by a Belfast academic, has gone on sale on amazon.com. 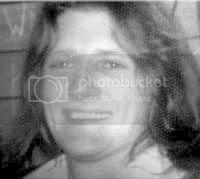 Nothing But An Unfinished Song: Bobby Sands, The Irish Hunger Striker Who Ignited A Generation is the first comprehensive study into the life of the republican icon who died on hunger strike in 1981. Using meticulous research carried out over many years, original interviews and published material, author Denis O’Hearn paints a picture of an IRA volunteer who was both enigmatic and charismatic. Born in New Mexico, USA, of Irish and Native Alaskan ancestry, Denis O’Hearn has been a leading light in economic and community regeneration efforts in Belfast for the past three decades. He is now a professor of social and economic change at Queen’s University Belfast. Nothing But An Unfinished Song charts Bobby Sands’ early years in Rathcoole through his early involvement with the IRA, his politicisation in the Cages of Long Kesh and then his release and re-capture. “The bulk of the book deals with his prison ordeal on the blanket in the H-Blocks and his decision to lead the hunger strike which caused his death in May 1981. Among those interviewed in the book are former prison comrades of Bobby Sands as well as prison warders, priests and politicians caught up in the hunger strike of 1981. The author received the co-operation of the Bobby Sands Trust and he thanks the hunger striker’s sister Marcella for her help with the book. “To the Sands family I send deepest regrets,” says Denis O’ Hearn in his acknowledgments. Nothing But An Unfinished Song is currently on sale in the US and on amazon.com, but will not be released in Ireland until March 1, the 25th anniversary of the start of Bobby Sands’ fateful hunger strike. The book is available from amazon.com at a price of $18.48 (€15.60, £10.70) plus postage.